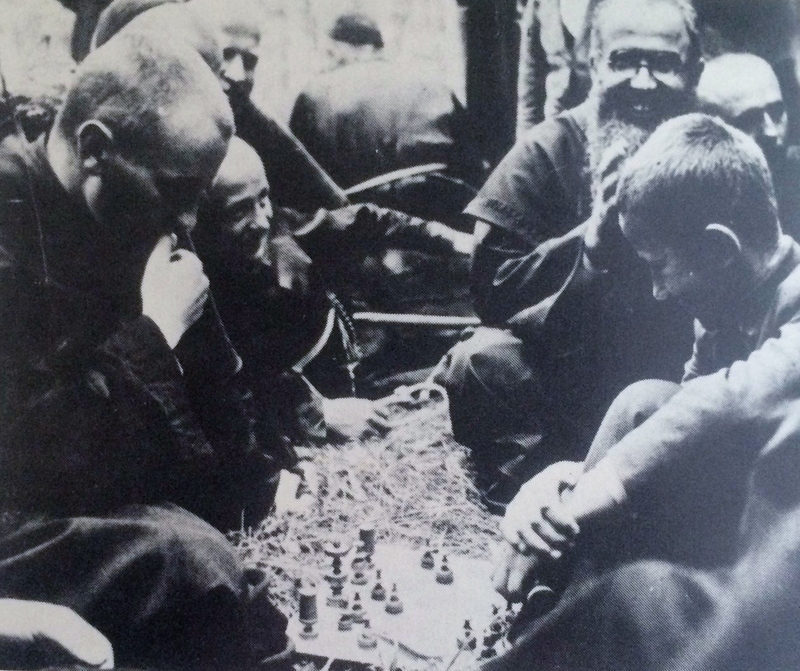 “Kolbe (upper right) with young candidates for the Franciscan order.” All photos graciously borrowed from Patricia Treece’s book, A Man for Others. This quote fascinated and perplexed me the moment I chanced upon it. I agree with the saint that the “not my problem” mentality is probably the most vicious problem we face as a society. Think about it: if every person chose to use his or her gifts and talents to the fullest and stopped ignoring the barrage of global challenges we face, many problems would be solved. Even more fascinating than this quote is the man who issued it. So fascinating, in fact, that I was inspired to pick up a few books about his life and legacy. Maximilian Kolbe was not your average Catholic priest. He was a true champion of service who volunteered his time and talents up to the moment of his death in the infamous Nazi concentration camp, Auschwitz. Life began for young Kolbe in a fiercely Catholic and patriotic Polish family. By all accounts, Kolbe was a bright child. He joined the priesthood and went on to achieve two doctorates, his first (in Philosophy) at age 21! He was a priest ahead of his time in many ways, as he obtained a printing press and started a local newspaper with his religious community he founded called “Niepokalanow” (which translates, “the city of Mary,” as in the mother of Jesus Christ, to whom the saint was greatly devoted). 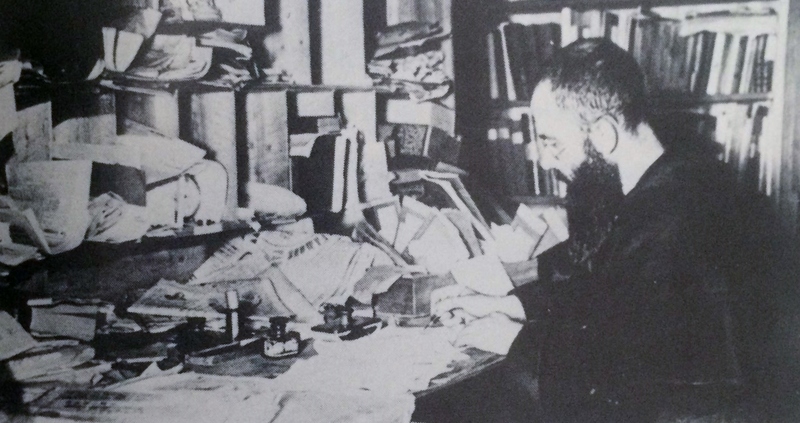 Maximilian Kolbe even spent time on a mission in Japan serving, teaching, and founding a religious community of Franciscans there. Incredibly, Kolbe accomplished these feats while battling severe tuberculosis throughout his life. His work was often thwarted by his illness. Despite this, St. Maximilian was known for these key traits: loving without limits of race, religion, gender, etc., always smiling, being obedient, and above all possessing great humility. He “exerted himself enormously for human souls,” according to colleague Janina Kowalska. (A Man for Others, p. 39). Unfortunately, World War II brought the Nazis to Niepokalanow, and Father Kolbe was picked up as a “dangerous person.” The Nazis persecuted the religious with intense brutality. Kolbe was eventually destined to don the striped outfit and bear the impossible conditions of Auschwitz. In Auschwitz, survivors report that Kolbe calmed and comforted them, and frequently gave his portion of meager rations to others. A doctor in the camp, Rudolph Diem, recalled, “In view of the general animal instinct of self-preservation so evident in everyone else, his desire to sacrifice himself for others surprised and intrigued me” (p. 151). “He dispensed love and nothing but love” remarked one Jewish boy, revealing Kolbe’s ability to create fellowship with people from any background (p. 153). He brought rays of hope, but bore much affliction from age and his continuous lung disease. Auschwitz had a rule: if one prisoner escaped, 10 of the 600 from the escapee’s block would be forced to endure a slow, painful death in the starvation bunker. On July 31, 1941 a prisoner from Block 14, Kolbe’s Block, escaped. The Nazi Kommandant chose 10 poor souls, and one, Francis Gajowniczek, cried aloud for his wife and children. Suddenly and unexpectedly, prisoner 16670 pushed through the lines of men and respectfully requested to take the man’s place. In perfect German, he addressed the cruel commander, who unbelievably consented. Maximilian Kolbe’s good deed shone in the dark moment; he took the worst torture imaginable for a fellow prisoner he hardly even knew. 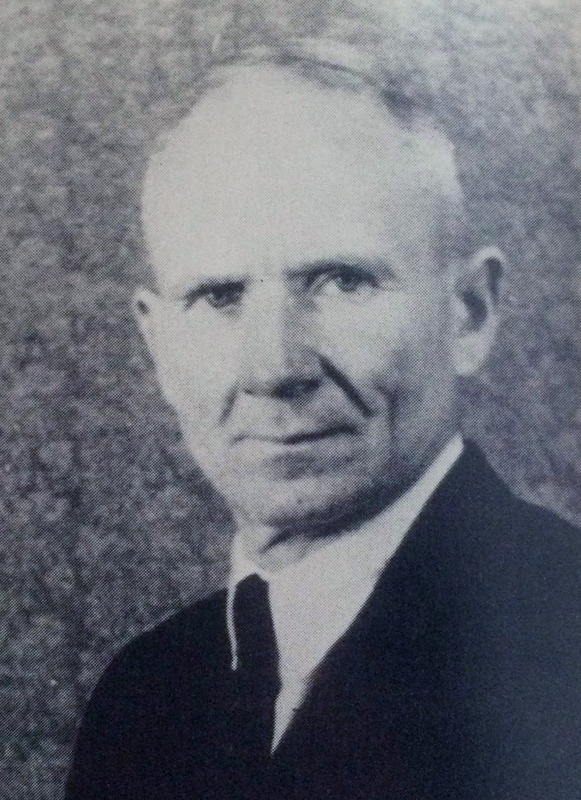 Interpreter Bruno Borgowiec, who was assigned to the starvation bunker, reported details from Kolbe’s brief experience. Singing and prayer could be heard from the underground bunker; even the SS admired his courage and strength. 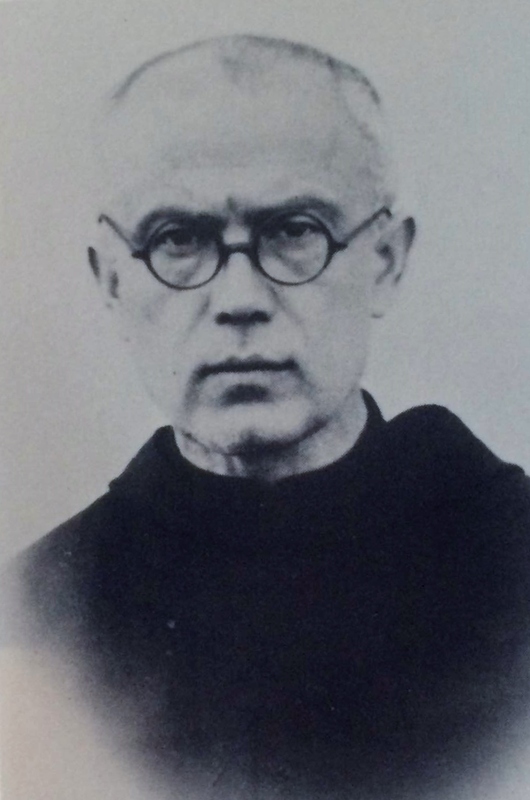 Maximilian Kolbe was one of the last to die; in fact, he had to be injected with carbolic acid because he lasted so long. He died August 14, 1941. Francis Gajowniczek survived and lived 54 more years. He told Maximilian Kolbe’s story all his life. As the Catholic church made him a saint, Polish Cardinal Wyszynski stated, “Whereas people trust in material resources like tanks, planes, and armies, Kolbe shows that only one thing is necessary to gain peace and unity for the world, the practice of love” (182). As one of the millions of victims of the holocaust, pervasive “indifference” proved fatal to Maximilian Kolbe. The apathy can be seen in our society today as well. Bottom line is, there’s so much more to life than school, work, social media. Aimless, mundane life is awful. Be the next Maximilian Kolbe; live with purpose and turn to service! Do something. Kolbe gave his life to the service of others, and in the end with compassion for a stranger. For what would you give your life? What are you being indifferent to right now that you could change for good? Why do we honor suffering and sacrifice? What champion of service inspires you and why? Royal, Robert. The Catholic Martyrs of the Twentieth Century: A Comprehensive World History. New York: Crossroad, 2000. Print. Treece, Patricia. A Man for Others: Maximilian Kolbe, Saint of Auschwitz, in the Words of Those Who Knew Him. 1st ed. New York: Harper & Row, 1982. Print.